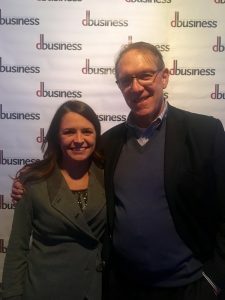 Jules Olsman and Donna MacKenzie were nominated to dbusiness Magazine’s 2017 Top Lawyers in Metro Detroit. 19,000 attorneys in Wayne, Oakland, Macomb, Washtenaw, and Livingston counties were asked to nominate lawyers among 48 legal specialties. 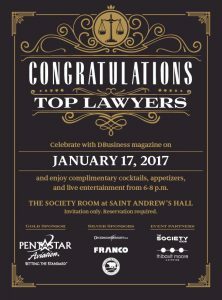 Olsman and MacKenzie celebrated with dbusiness Magazine at the 2017 Top Lawyers Party at the Society Room at St. Andrews Hall in Detroit on January 17, 2017.